My tuktok 5 paborito Weezer songs. Pick your favorite. My 10 paborito Weezer songs. Choose your favorite. Do you like the song "You're wondering if I want you to..." or whatever it's called? ang napili ng mga taga-hanga: YESH!!! It's the bomb! YESH!!! It&# 39; s the bomb! Nahh! It&# 39; s a piece of crapp!!! From goofy garahe kid to international superstar, Rivers Cuomo continues to grip the pop imagination. Weezer could be coming to a college near you! Rivers, Patrick, Mickey and Brian have signed up for the T-Mobile Motorola CLIQ Challenge, a social networking contest looking to see what college or unibersidad can sumali together in friendly rivalry to build that largest online “CLIQ” for their school. Rivers, Patrick, Mickey and Brian have signed up for the T-Mobile Motorola CLIQ Challenge, a social networking contest looking to see what college or unibersidad can sumali together in friendly rivalry to build the largest online “CLIQ” for their school. Weezer bio with iugnay to amazing videos. This app is for Weezer fans everywhere. You can either look up the song you want lyrics for, or have the app generate walang tiyak na layunin lyrics from either the song of your choosing, or a randomly selected song. One Lucky Winner and a Friend will have a private BBQ with Mikey Welsh July 2nd, before his art opening at The Slingluff Gallery in Philadelphia. Sign Up here and You're Entered! And my mga kaibigan are just screwy as me. 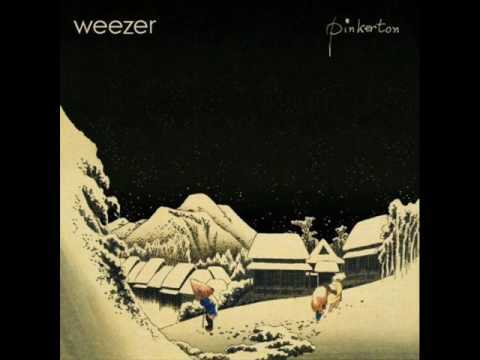 a comment was made to the poll: paborito Weezer album? a comment was made to the poll: My 10 paborito Weezer songs. Choose your favorite. In Weezer's song, Pork and Beans,Who knows how to reach the tuktok of the charts? What is your paborito Weezer song? WEEZER'S BLUE ALBUM TO BE PERFORMED sa pamamagitan ng DOUBLETHINK IN CONN. OCT. 8!